JERUSALEM – The recent discovery of ancient artifacts and dwelling places in Jerusalem corroborates an important event described in the Bible and confirms the wealth of the nation of Israel in ancient times. In a statement titled “Evidence of Babylonian Destruction of Jerusalem Found at the City of David,” the Israel Antiquities Authority announced that several important artifacts from the ancient city of Jerusalem have recently been unearthed. “Evidence of the destruction of Jerusalem at the hands of the Babylonians is currently being unearthed in the City of David in excavations conducted by the Israel Antiquities Authority,” it explained. 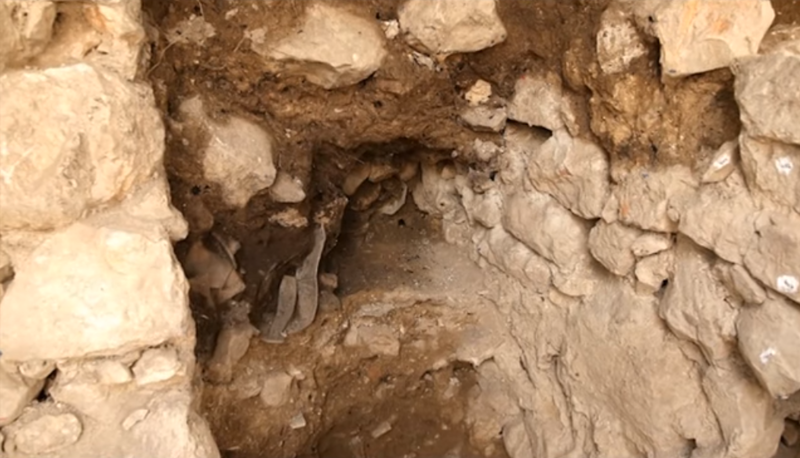 By conducting excavations on the eastern slope of the City of David, archaeologists discovered the remains of 2,500-year-old dwelling places covered by a rockslide. This discovery of charred wood confirms the biblical account of the fiery destruction of Jerusalem at the hands of the Babylonians, which took place in 587 B.C. and is recorded in the Bible in 2 Kings 25 and Jeremiah 52. “Nebuzar-adan, captain of the guard, which served the king of Babylon, [came] into Jerusalem, And burned the house of the LORD, and the king’s house; and all the houses of Jerusalem, and all the houses of the great men, burned he with fire,” Jeremiah 12 says. Archaeologists also uncovered dozens of jugs in the excavation, some of which feature seals stamped onto them. Experts say these seals are significant for dating purposes. Another noteworthy finding was a carefully-carved ivory figurine, which is evidence of Jerusalem’s wealth and advanced culture at the time. According to the excavation directors, these recent discoveries prove that Jerusalem was a large city prior to its destruction.